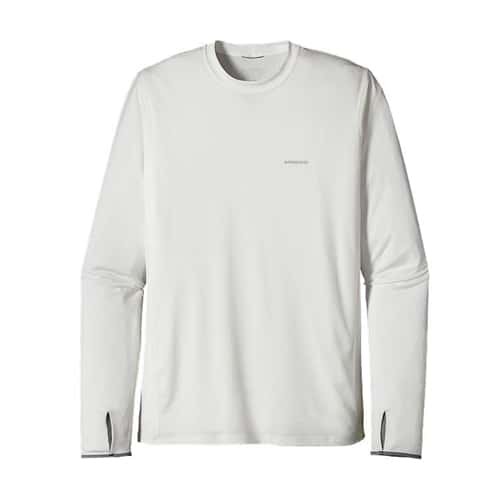 This comfortable, quick-drying polyester crew wicks and provides 50+ UPF sun protection in hot weather. Fair Trade Certified™ sewing. Take a long walk through the Cayo Cruz backcountry, and you’ll find plenty of tailing bones, miles of knee-high mangroves, and not a speck of shade. The Tropic Comfort Crew II let’s you explore it all without getting roasted. The ultralight, polyester jersey fabric now provides 50+ UPF sun protection, keeps things fresh with Polygiene® permanent odor control and wicks away perspiration. It also floats over the skin with a soft, cotton-like feel so you can stay cool and focus on the fishing. The Tropic Comfort makes you feel good another way, too—it’s now built with Fair Trade Certified™ sewing.